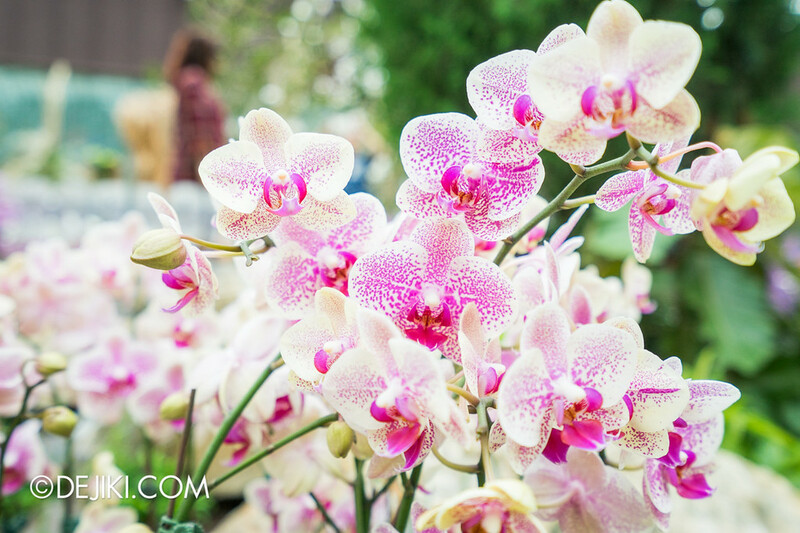 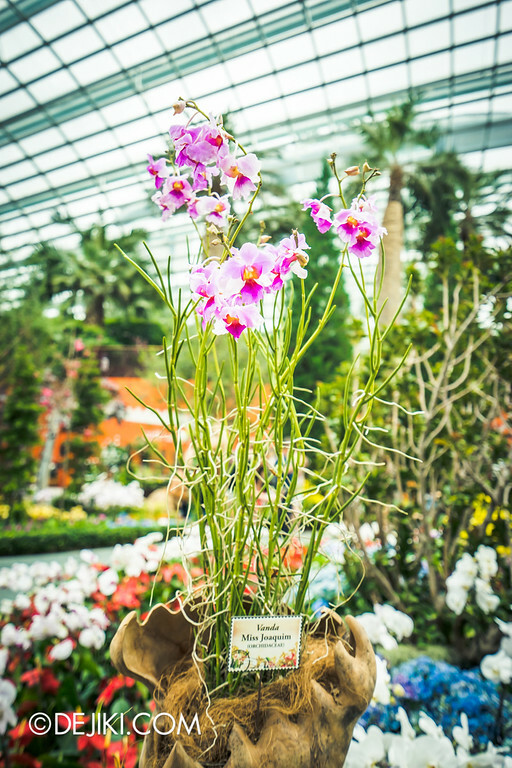 While orchids take center stage for this floral display, but it’s not the same as 2014’s Orchid Extravaganza. 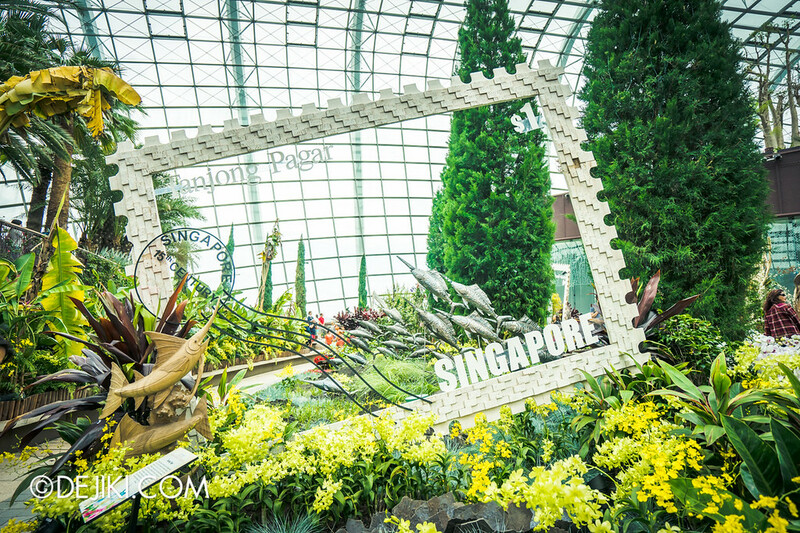 With a commemorative touch, each ‘story’ is segmented by a giant picture frame. 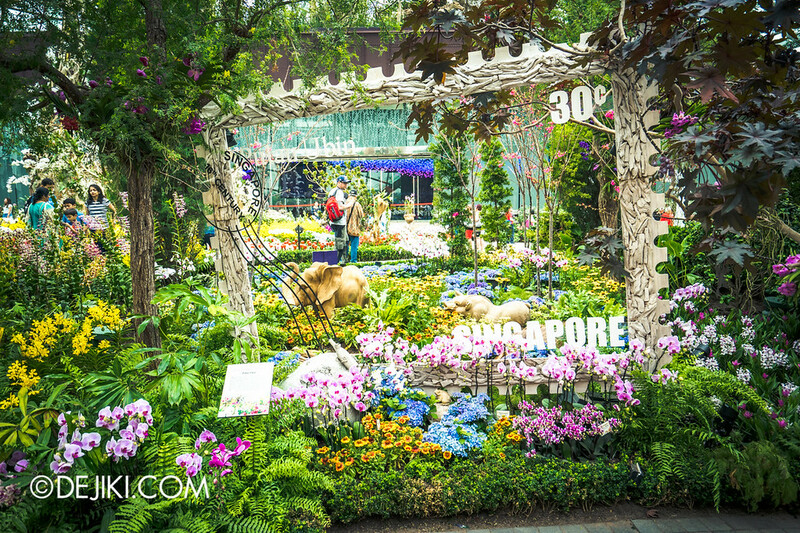 Many stories are accompanied by exquisite wood carvings of characters, specially created for this floral display. 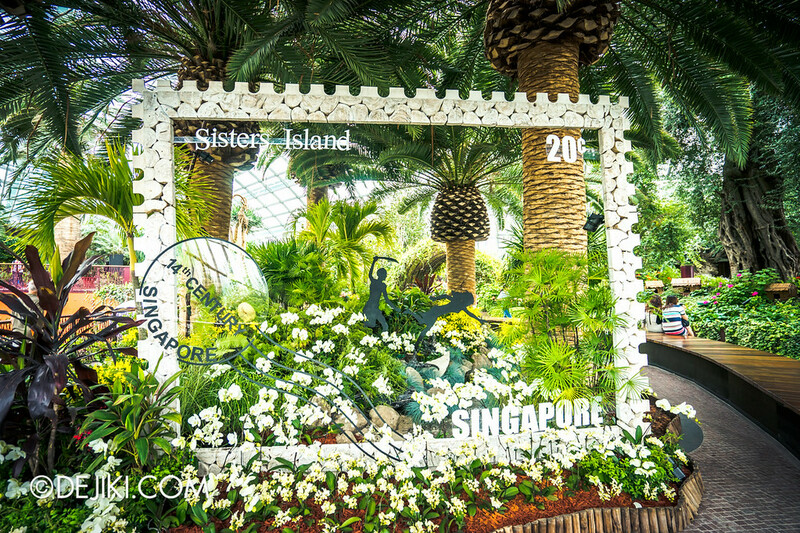 The main flower field is dominated by the story of the Merlion. 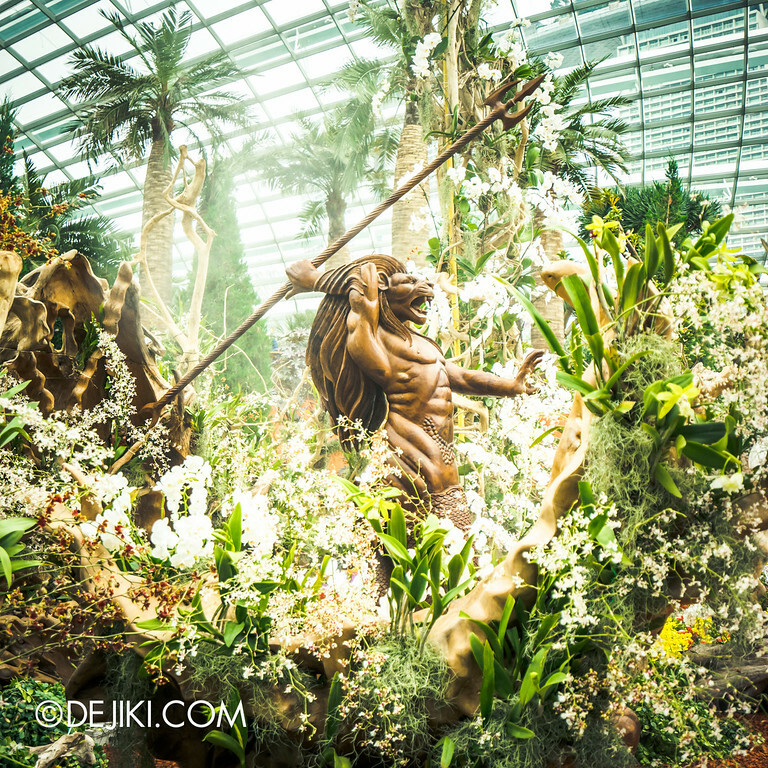 It is very dramatic – and a rare interpretation of an anthropomorphic Merlion, too. 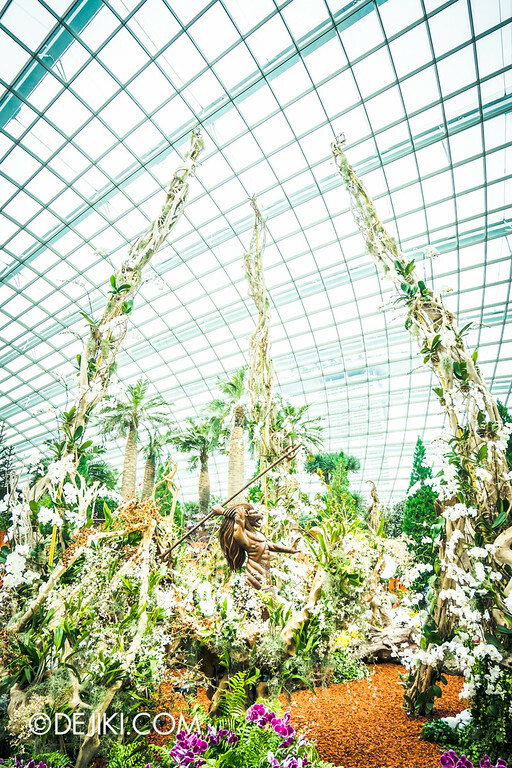 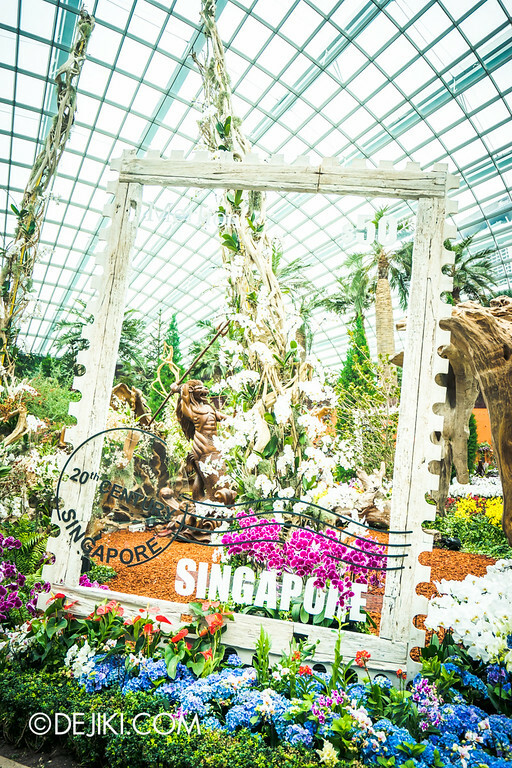 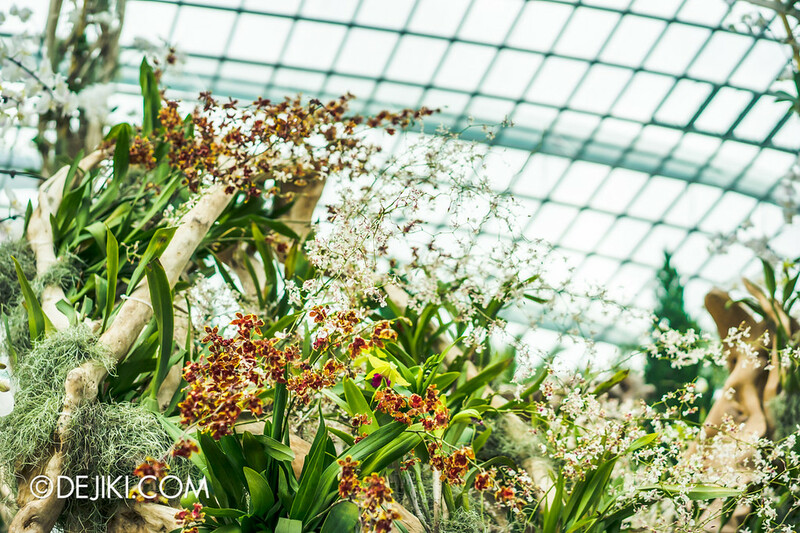 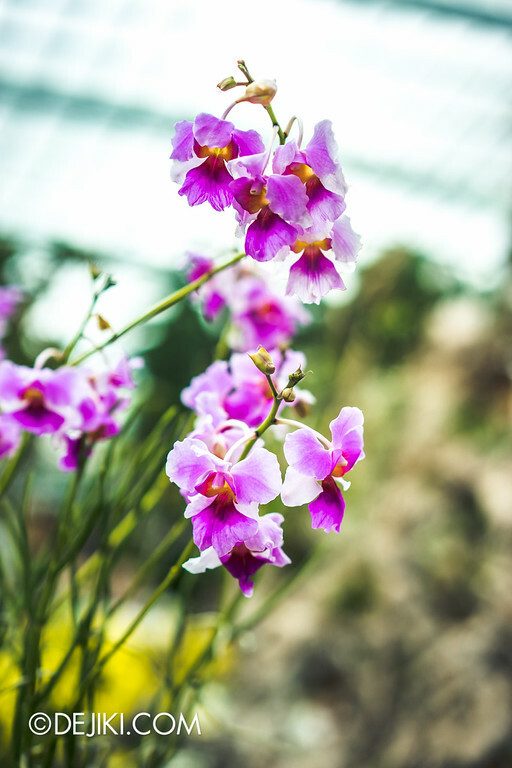 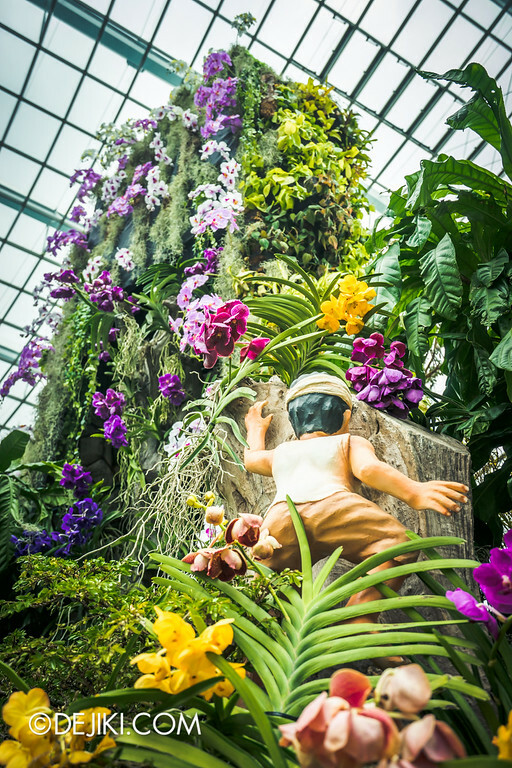 Apart from an amazing amount of orchids, the highlight of this floral display would be the new interpretation of Singapore’s folklore. 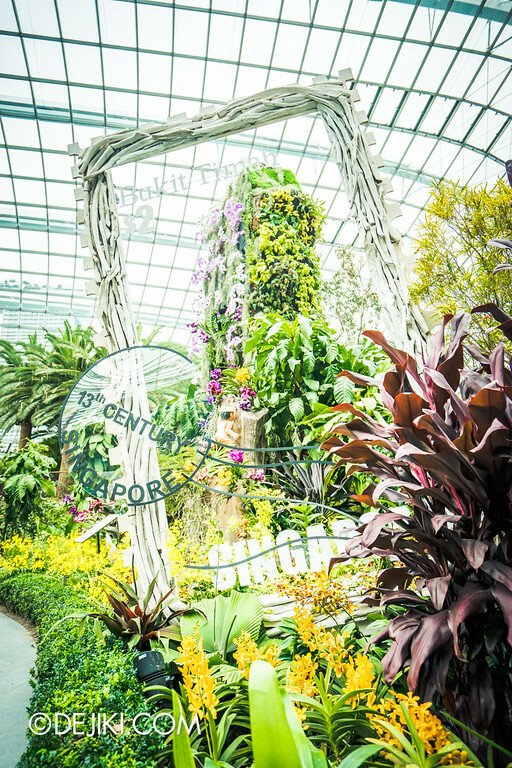 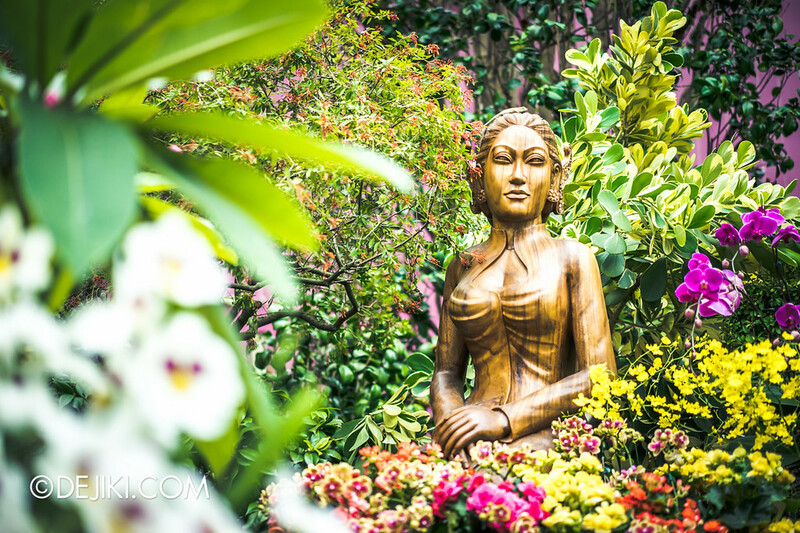 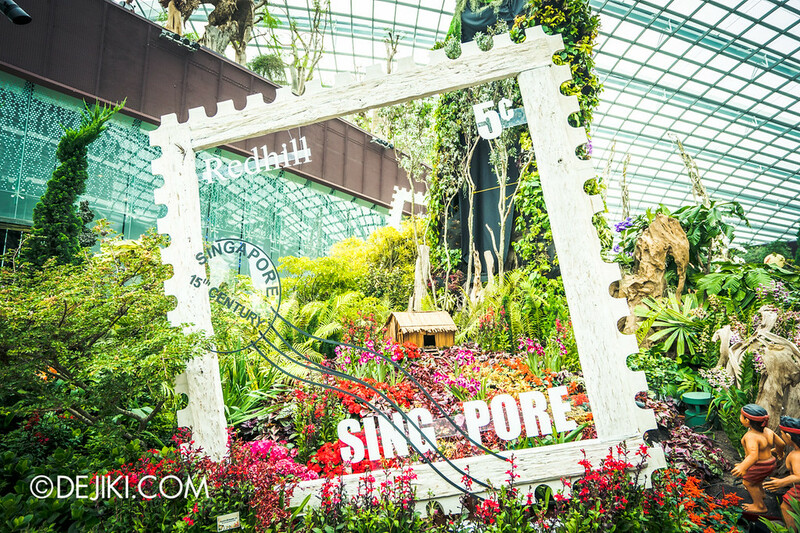 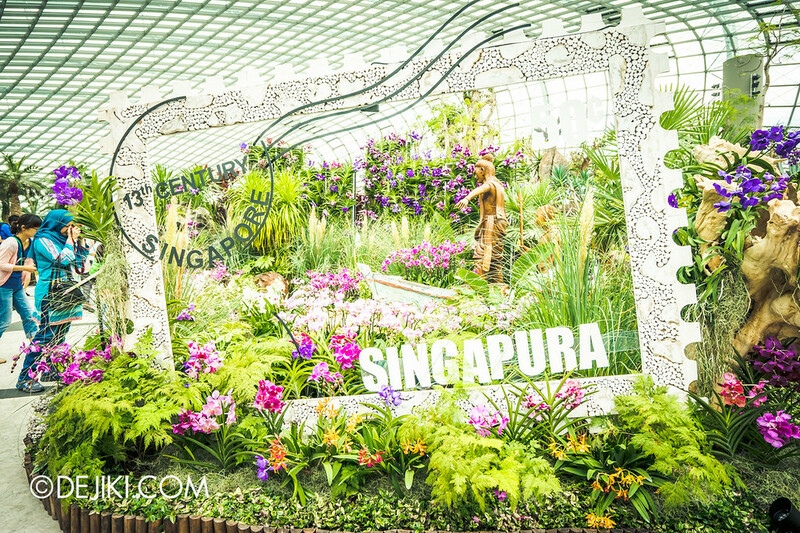 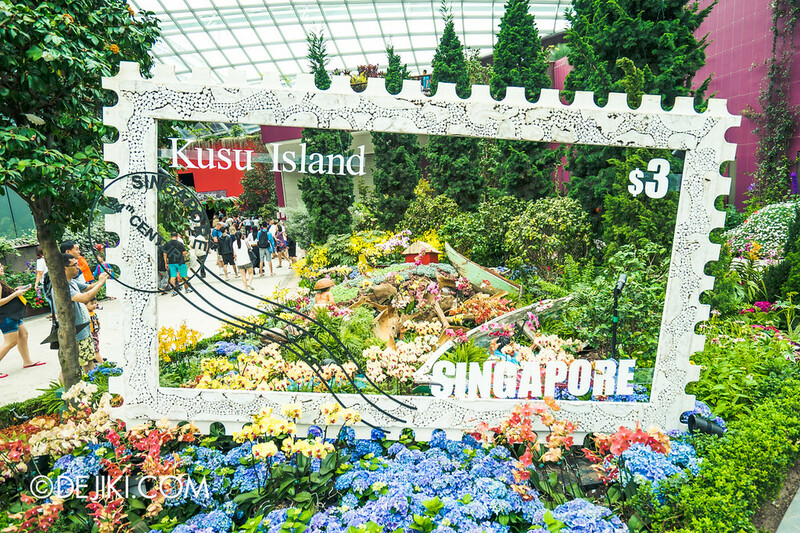 There are many stories behind the islands and places in Singapore, and a walk around the Gardens this time would be a chance to rediscover them. 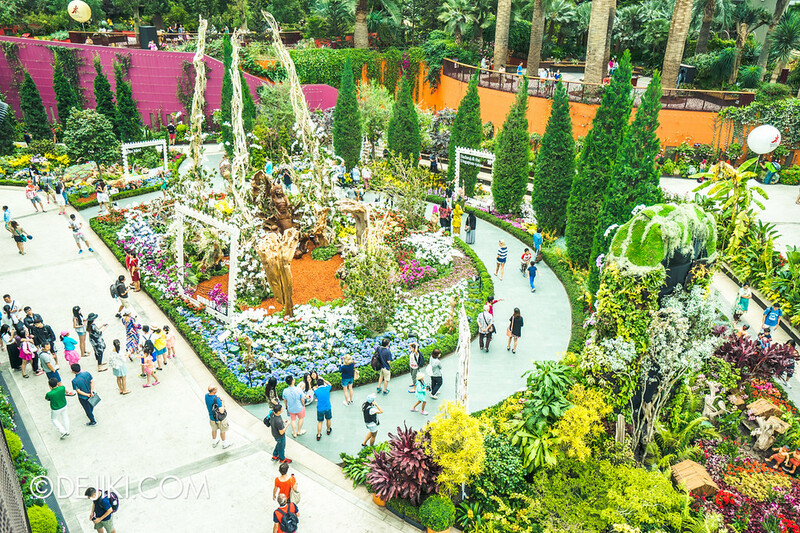 how long was the queue to the flower dome during the weekend?